This year, as it celebrates its 10-year-anniversary, the OHL Classic at Mayakoba is not only proud to have crowned some of the game’s greatest champions over the years, but it also put Mexico on the golfing map with its distinction of being the first-ever PGA TOUR event in the country. To commemorate the milestone, OHL and its founder Juan-Miguel Villar Mir a purse increase of $800,010, taking the total to $7,000,010. The additional $10 U.S. dollars are designed to acknowledge the 10 years of the tournament’s existence. The total purse is the largest amount of prize money distributed at any golf tournament to date in Latin America. 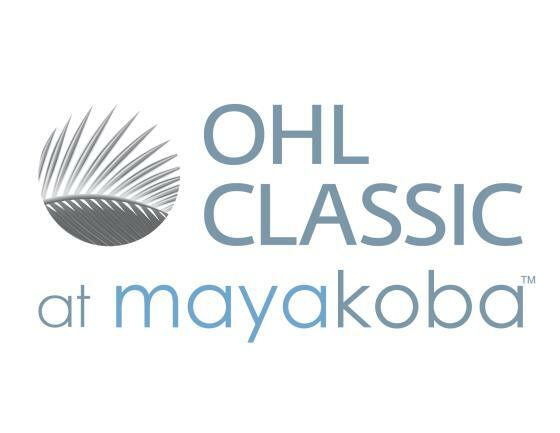 Another way in which the OHL Classic at Mayakoba will commemorate its 10-year anniversary is by offering free admission to Sunday’s final round. The objective is to share the event with the entire local community and general public. On Wednesday before the 2015 OHL Classic at Mayakoba Classic got underway, Northern Ireland’s Graeme McDowell spoke candidly to media about the stagnate state of his game and expressed concerns of his ability to ever win again on the PGA TOUR. He held the 36-hole lead but he found himself trailing the lead by three strokes entering the final round. A 5-under 66 in the fourth round pushed him to 18-under 266 and into sudden-death with Jason Bohn and Russell Knox. On the first extra hole, No. 18, his birdie-3 helped him prevail over Knox and Bohn, giving McDowell his third career PGA TOUR win and first since the 2013 RBC Heritage. With restored confidence, a week after his win in Mexico, McDowell finished third at the RSM Classic on Sea Island in Georgia. In all, McDowell collected five top-10 finishes last season, good enough to play his way through the first three FedExCup Playoffs events, the BMW Championship. McDowell’s 48th-place finish on the FedExCup points list was his second-best ever and highest finish since settling in at No. 42 in 2012. McDowell will be making his first start of the 2016-17 PGA TOUR Season this week. McDowell’s win last year came in his second start in the OHL Classic at Mayakoba. He first competed in the event’s inaugural year of 2007 (T63). El Camaleón Golf Club at the Mayakoba resort is a Greg Norman signature course. The 7,039-yard layout is unique—not just to Mexico but to the entire world of golf. The course bends through three distinct landscapes—mangrove jungles, limestone canals and stunning, oceanfront stretches of sand. El Camaleón incorporates a cenote, a massive underground cavern, into the heart of the opening fairway. The handsome, Mayan influenced clubhouse rises above the 18th green and features stunning views over the course. The adjoining practice facility and driving range are of international caliber. With Mayakoba’s unique system of waterways, golfers can step out of their rooms and into a boat, which will ferry them directly to the first tee. The OHL Classic at Mayakoba is the sixth event in the PGA TOUR’s wraparound schedule that bridges two years with 47 official events. Over the span of 43 weeks, players vie to become the FedExCup Champion, which distinguishes the one player who not only performs well during the PGA TOUR Season, but also excels through the four-event FedExCup Playoffs, culminating with the 2017 TOUR Championship. Every week is significant in the race for the FedExCup – four of the seven winners from the fall calendar of 2015 (Russell Knox, Emiliano Grillo, Justin Thomas and Kevin Kisner) qualified for the 2016 TOUR Championship and two others (Smylie Kaufman and Graeme McDowell) finished inside the top 50. The 2016-17 PGA TOUR Season kicked off with the Safeway Open and includes seven events during the fall of 2016, all of which will award FedExCup points. After a break, the season will resume in January with the traditional swing through Hawaii before moving to the West Coast. In his first start of the 2016-17 PGA TOUR Season, 17-time PGA TOUR winner and 2010 FedExCup champion Jim Furyk will make his first start in this year’s OHL Classic at Mayakoba. Most recently, Furyk drew the attention of the sports world when he posted the PGA TOUR’s first-ever 58. In the final round of this past season’s Travelers Championship, Furyk made 10 birdies and an eagle en route to the TOUR’s lowest 18-hole score (finished T5). Furyk also posted a 12-under 59 in round two of the 2013 BMW Championship (finished 3rd). At the end of the 2015-16 season, Furyk received the Payne Stewart Award, presented annually to a professional golfer who best exemplifies Stewart’s values of character, charity and sportsmanship. Furyk will be in search of his first win since the 2015 RBC Heritage. 2015-16 PGA TOUR Rookie of the Year Emiliano Grillo is poised to make his first start in the OHL Classic at Mayakoba this week. En route to last year’s distinction, he claimed a win at the Safeway Open in his first start as a PGA TOUR member, which he followed with two additional top-10 finishes, both of which came in the FedExCup Playoffs (T2/The Barclays, T10/TOUR Championship). In his last start this season, Grillo finished T11 at the World Golf Championships-HSBC Champions in Shanghai. Spain’s Jon Rahm will be making his third consecutive start in the OHL Classic at Mayakoba this week and is coming off a T10 finish last year as an amateur. In his first start of 2014, he missed the cut after rounds of 70-73—143 (+1). Rahm enjoyed a successful 2015-16 PGA TOUR Season, which included turning professional and earning Special Temporary Membership to the PGA TOUR. Of eight top-25 finishes last season, three were top 10 showings; OHL Classic at Mayakoba/T10 (amateur), Quicken Loans National/T3 and RBC Canadian Open/T2. Initially caught the attention of the professional golfing world when, as an amateur at Arizona State, he finished T5 at the 2015 Waste Management Phoenix Open. The Mayakoba Resort played host to the 2016 World Amateur Team Championship in September, an event in which Rahm took individual medalist honors in 2014 in Japan. Chris Stroud is the only player in the field who has competed in each OHL Classic at Mayakoba. With just two missed cuts and four top-15 finishes, he began a streak of consecutive top-five finishes in 2011 (4th), 2012 (T5) and 2013 (T3). Stroud is playing this year’s event on a sponsor exemption. Fourteen of the 16 players who finished among the top ten and ties in last year’s OHL Classic at Mayakoba will be returning to this year’s event, including defending champion Graeme McDowell and the two players he beat on the first hole of sudden death, Russell Knox and Jason Bohn. Among those making their first-ever start at the OHL Classic at Mayakoba are Bryson DeChambeau, Luke Donald, Ernie Els, Jim Furyk, Emiliano Grillo, Ryo Ishikawa, Anirban Lahiri, Hunter Mahan, Ian Poulter and Webb Simpson. Four players won the OHL Classic at Mayakoba in their first start in the event; Johnson Wagner (2011), John Huh (2012) Harris English (2013) and Fred Funk (2007, inaugural event). Only Funk is not in this year’s field. Carlos Ortiz – Mexican star Carlos Ortiz, a three-time winner and Player of the Year on the Web.com Tour in 2014, will make his third career start at the OHL Classic at Mayakoba (T9/2014, MC/2015). Rodolfo E. Cazaubon – Like Ortiz, Tampico, Tamaulipas, Mexico native Rodolfo E. Cazaubon will be making his third start in the OHL Classic at Mayakoba (MC/2014, T74/2015). In four career starts on the PGA TOUR, he managed a T3 finish T3 at the Puerto Rico Open at Coco Beach last season. Roberto Diaz – Poised to make his third career start on the PGA TOUR, Veracruz native Roberto Diaz has spent the last three seasons competing on the Web.com Tour and PGA TOUR Latinoamerica. He has claimed 11 top-25 finishes in 57 total starts on the Web.com Tour, four of which were top 10 showings. From 2012-2015, he made 23 starts on PGA TOUR Latinoamerica, with a playoff loss at the 2014 TransAmerican Power Products CRV Open in Guadalajara his best showing. Three of the four Open Qualifiers hail from Mexico: Oscar Fraustro, Sebastian Vazquez and Abraham Ancer. Fraustro finished tied for ninth in 2014. Esteban Toledo (2007, 2008, 2009, 2012), Jose de Jesus Rodriquez (2009, 2012), Oscar Fraustro (2013, 2014), Carlos Ortiz (2014) and Rodolfo E. Cazaubon (2015) are the only Mexicans to make the cut in the OHL Classic at Mayakoba in the nine-year history of the event. Cesar Sanudo and Victor Regalado are the only native Mexican golfers to win on the PGA TOUR. Regalado won the 1974 Pleasant Valley Classic and 1978 Ed McMahon-Jaycees Quad Cities Open (John Deere Classic). Sanudo won the 1970 Azalea Open Invitational. Seven of the nine past champions of the OHL Classic at Mayakoba are in the field this week. The only past champions missing are Fred Funk (2007) and Cameron Beckman (2010).